Celebrating A Year of Solar Power - Planet Aid, Inc.
Last year, on September 20, 2017, Planet Aid completed the installation of a 70,000 square foot rooftop solar array atop its Milford, Massachusetts operations warehouse. It is one of the largest roof-mounted solar arrays in the state, generating power for Planet Aid’s facility as well as the nearby city of Quincy. Since the initial flipping of the switch last year, the array, which became fully operational in May 2018, has generated 554,000 kWh. This has saved approximately 325 barrels of oil from being burned, and reduced CO2 emissions by 394 metric tons. Planet Aid has sold most of its green power to the City of Quincy, Massachusetts. “The City of Quincy is interested in clean electricity and is pleased to be able to support Planet Aid's ability to generate it," — Shelly Dein, Energy and Sustainability Director for the City of Quincy. The initiative was also recognized by numerous state and local representatives who attended an inaugural event at the Milford warehouse last September. 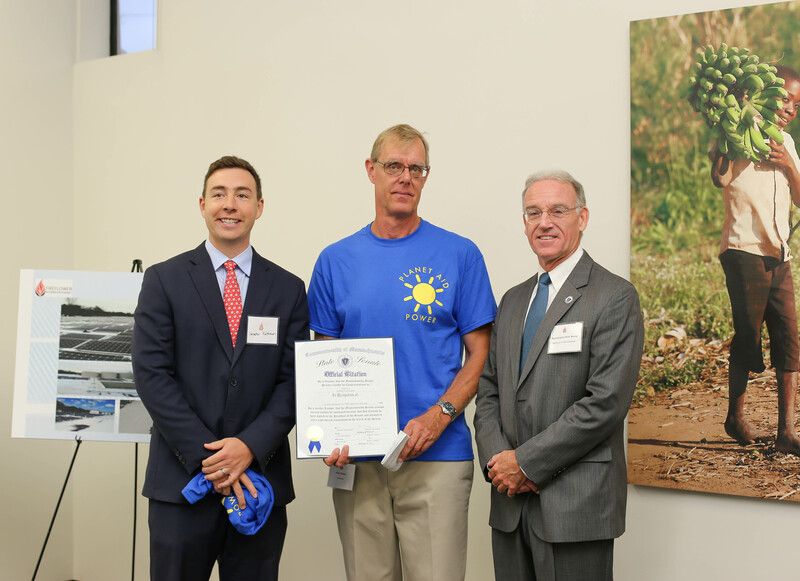 During the celebration, Planet Aid was awarded a congratulatory Official Citation from the Massachusetts State Senate because of its contribution to the Massachusetts’ goal of lowering greenhouse gas emissions to 15 percent of 1990 levels by 2020. 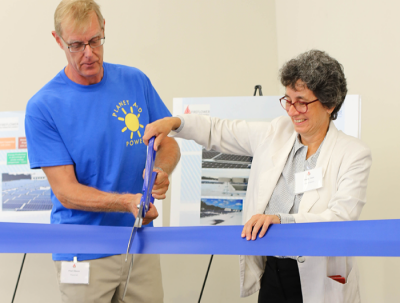 The solar installation is a further step in Planet Aid’s rehabilitation of the formerly vacant warehouse it occupies in Milford. The extensive environmental remediation of the contaminated site (completed in 2013 by Planet Aid) included the removal of nearly 13,000 tons of petroleum contaminated soil that had been dumped by previous occupants over time. Planet Aid's clean up effort was highlighted in an op-ed in the Milford Daily News by Massachusetts State Representative Brian Murray (House Committee for Global Warming and Climate Change), who attended the inauguration.